We made it to Episode 400 !!!! Cerrone vs Lawler postponed until ???…. Thanks for being around and we will continue to bring you the worst show full of the best up to date news we can find …. 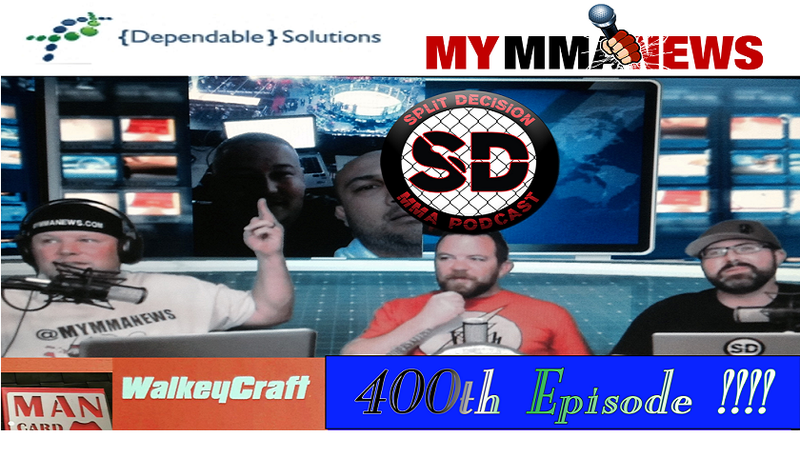 Visit the guys on the we at splitdecisionmma.com.